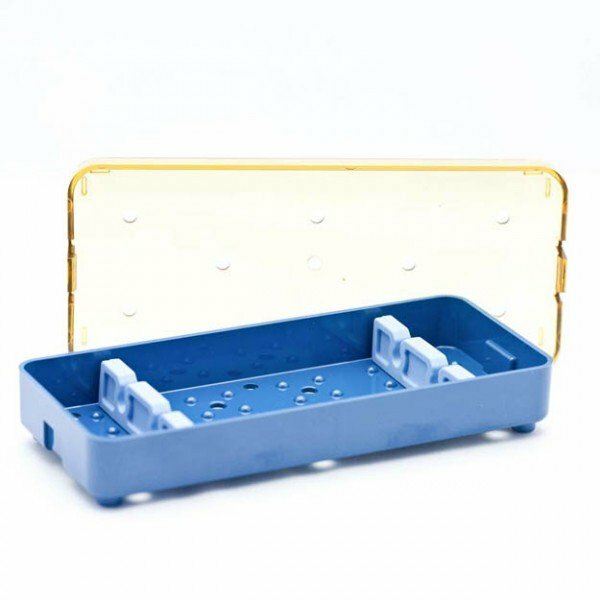 Knife sterilization tray with two slots. Base, lid, and two silicone bars. 2.5 inches by 6 inches by 0.75 inch. 2.5" x 6" x 0.75"